Shades of brown will inspire you to make your space feel warmer instantly in this beige brown glass marble backsplash tile for contemporary kitchens. 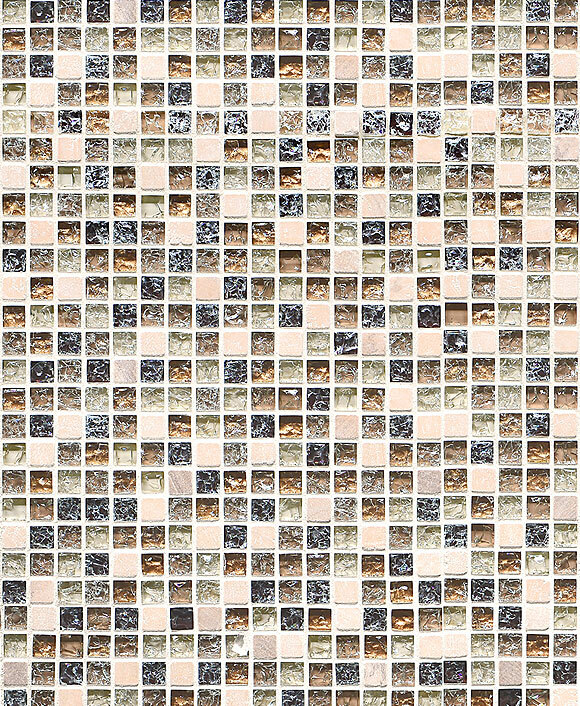 Small squares with color variations ranging from creamy yellows to deep browns will capture your attention easily. Let the natural striations within each piece of glass and ceramic charm you with its marbled effect. 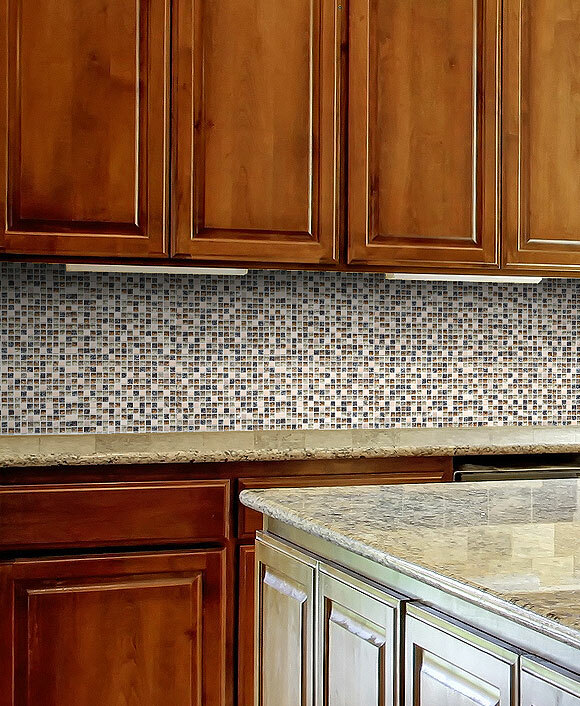 Your kitchen will feel more sophisticated in seconds with this brown glass ceramic mosaic tile addition.